The eTwoTM treatment combines Sublative Rejuvenation and Sublime Skin Contouring treatments. Treatment with eTwoTM revives your skin and provides a more youthful appearance. eTwo uses radiofrequency energy to deliver a fractional and tightening treatment to reduce fine lines, wrinkles, acne scaring and pores. Sublime Skin Contouring combines infrared light with radiofrequency to firm the skin. Sublative is the only technology proven to reduce moderate to severe acne scars for all skin types. What can you treat with eTwoTM? Post treatment, patients may notice improved skin texture as a result of increased levels of beneficial collagen and new healthy skin cells. The eTwo treatment, three Sublime and 3 Sublative treatments are completed over time, once a month for 3 months. Call Hilton Head Plastic Surgery today to schedule your free consultation or to make an appointment at 843-681-4088. 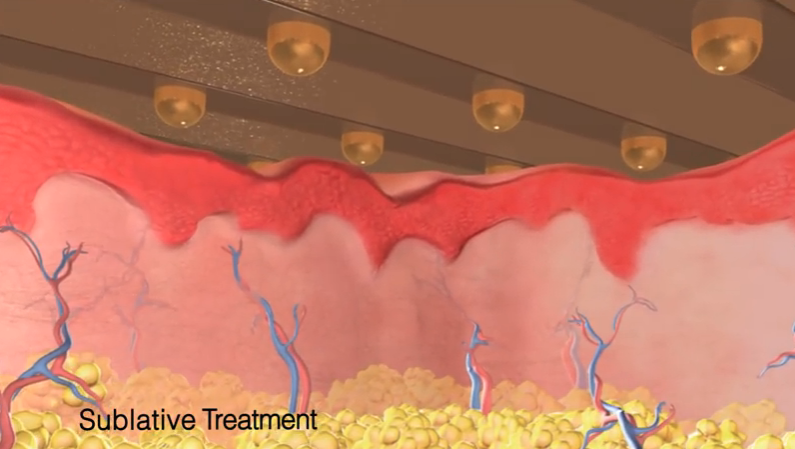 > Click on the Sublative Treatment image below to watch a video.